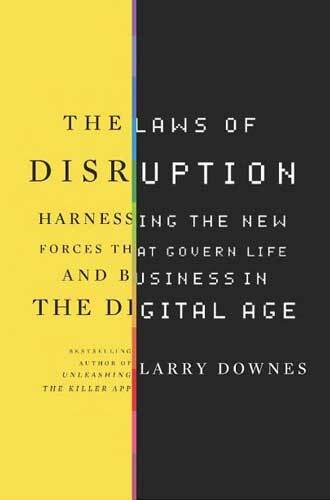 "Downes is a gifted observer of the laws of digital disruption, a phenomenon in which the technological advances and new digital modes of commerce and communication outpace the ability of social, economic, and legal frameworks to keep pace." "Downes offers a guided tour of what’s happening and what’s next, what’s legal and what’s not, and how all of it is likely to impact individuals and businesses. Laced with examples of how conflicts and shifts are playing out in real life, the book looks beyond typical strategic advice, offering a fresh and valuable perspective...."
"Mr. Downes's libertarian instincts are admirable, particularly since government intervention often fails anyway.... Mr. Downes may well overstate the case when he says that our 'industrial-age legal system' will not survive, but there is no doubt that a lot more disruption lies ahead." "Downes eloquently expresses the problems that many industries face and shows how using old laws to maintain the status quo is futile. The digital revolution is here and we will make sense of it – somehow." "The Laws of Disruption is the closest thing you will find to a genuine cyber-libertarian manifesto these days. But Downes isn’t a rigid ideologue; his skepticism of government regulation of the high-tech economy is based more on practical considerations and the fundamental 'law of disruption.' ... I highly recommended The Laws of Disruption and found it to be the most enjoyable of all the books I read this year." "Downes is a dreamer, a visionary but also a relentless empiricist -- driven by insatiable curiosity -- and a diehard pragmatist -- almost wholly preoccupied with understanding what works, what doesn’t, and why. This is a brilliant achievement."